Okay, you’ve been thinking about it for a while now. You’ve even tried on a few Red Cape-y behaviors, like dropping the ball or getting crazy curious. Now it’s time to do the stuff we’re all here for. It’s time to bring those superpowers to work. But how? Okay, I’ll tell you. In my next several posts, I’ll share some tangible, easy tips that you can use right now to help you bring your superpowers to work. 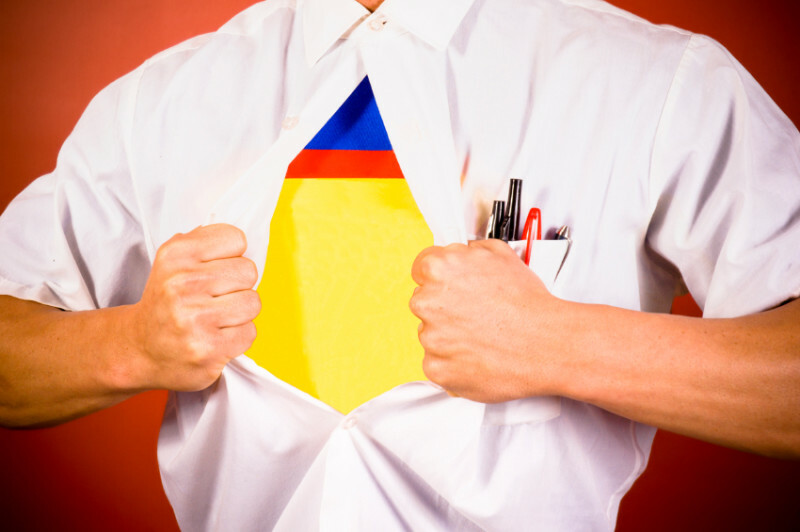 Yes, you can bring your superpowers to your work right now, exactly where you’re currently planted. After all, why wait? Chances are that you’re reading this blog because you’re not completely happy with one or more of the following: what you’re doing, where you’re working, or who you’re working with. You don’t have to find a new job/company/profession/life to use your superpowers. The remaining 50% found ways to do things differently right in the job where they are. No resume required. Either way, don’t get ahead of yourself. When you bring your superpowers to work and stay in your superpower space, you’ll know what’s right for you.